Teach English in the Sun! Teacher Training Course - No second language required. 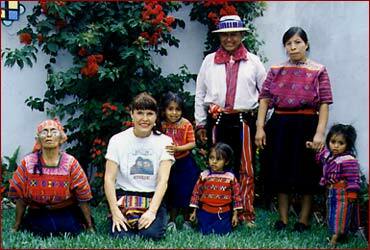 Brigit with Agapito Cruz Velasquez and family, Antigua Guatemala, C.A. Ever wanted to teach in Italy, Spain, or South of the Border? Now is your chance to learn the nuts and bolts of setting yourself up to live and teach in Rome, Barcelona, or Rio de Janeiro. Take it from someone who has been there and done that.